Hi Kyle, I'd like to welcome you to my blog. You published your first book on Thanksgiving Day, two months ago, and it has quickly become a best seller, ranking #1 in Christian Education and 1500 overall. How did you do it? Thanks Rachelle, I’m excited to be here! The success of the book has been an enormous surprise to me and my co-author Dean Roller. We honestly didn’t expect it to do this well, and I’ve been trying to figure out for myself what we did right. I think the best thing we did was realize that Christians really want to memorize scripture, and we also realized that we could teach a much better way of doing that. But even with that knowledge, we’ve been surprised at the amazing support the book has received. You realized that people needed help in memorizing Bible verses and provide them the means to do so effectively. Are their any other areas where your memorization techniques can be used? Absolutely. The foundation technique we teach is based on visualizing – which everyone can do – and we’ve tweaked that method to help memorize prose, whether it’s Shakespeare, poetry or Bible verses. But similar techniques based on visualization and mental imagery can be used for remembering anything. Names and faces; playing cards; phone numbers; whatever you’d like to memorize. Unfortunately, the key is that you need to consciously use the techniques, meaning that you’ll probably still forget where you left your handbag. How much time do you spend marketing? What is your partner Dean’s role? We’ve just re-launched our website and marketing now has our complete attention, so it’s going to take up a lot of our average day. We have a valuable product that our market loves, but we need to let everyone know about it. Social media marketing has such enormous potential and that will be a big part of where we put our focus. Dean’s main responsibilities are the website, business strategy and marketing in all its different forms. I’ve been primarily looking after creating our products in different formats, so we’ve been able to complement each other really well. While we have our designated areas, we help each other out a lot. It’s been an exciting learning curve and a huge amount of fun. 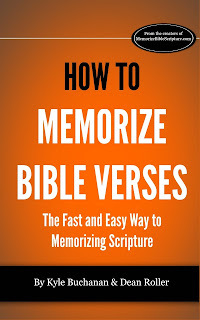 You mention your website http://www.memorizebiblescripture.com/ Is this book a companion to the lessons on your site? The book teaches a system for people to use to memorize Bible verses, but the website sells an audio product where all of the work has already been done for you. When you use the method from the book, you take a Bible verse and transform it into a mental ‘memory story’. You can then picture that story in your mind like a mental movie, and your memory finds it incredibly easy to hold onto. As you replay and ‘watch’ that story it recalls the specific verse and reference for you. So the book teaches a system which the reader then has to go and implement themselves, with a bit of work. These mental imagery techniques actually come from Ancient Greece and have been thoroughly researched in the fields of educational and cognitive psychology. Unfortunately, while the research shows that the techniques are great for anyone wanting to memorize new information, it also indicates that human nature inevitably takes its course and unless the mental images are created by someone else, students let the techniques lapse and don’t use them. People really want to memorize scripture and we’ve tried to make it as easy as possible. I compiled 366 Bible verses correlated to month and day. For example, January 1 is Genesis 1:1. I aimed to give people at least ONE verse a day in which they could meditate on, memorize, or pick as their life verse. Do you think this daily association could help people with the difficult chapter verse memory part of it? Memory techniques or ‘mnemonics’ help you remember a piece of information by associating it with something you already know. Linking the chapter and verse reference to a date is a simple and clever way of doing just that. You can build on those associations even further by creating a link in your mind between a particular verse and a friend or family member through their birthday. Your book is a really cool reference, I’m glad I have a copy! What do you see next in either your audio products, or your writing? Are there other books on the horizon for you? Oh, the plans we have Rachelle! 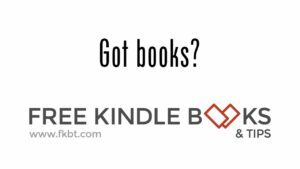 In the immediate future is a paperback version of our eBook, along with an audiobook version for Amazon’s Audible.com site. We know that everyone has their own preferred way of taking in information and we’re trying to cover every format. For the same reason we’re planning to convert our 100 scripture Memory Audios™ into a book. Our goal is to make it as easy as possible for people to memorize scripture, so we’re attempting to anticipate what our market would like. We’d also like to help support the National Bible Bee, run by The Shelby Kennedy Foundation. They do a wonderful job in promoting the value of scripture memorization, and we’d love to create a product that would benefit the entrants and the foundation. I think our books can be great companions and will encourage people to try one verse a day. It gives people a goal to get 365 verses memorized by the end of the year. Speaking of which, I need to start myself. I will definitely be looking into your method, especially the one of remembering the keywords of each verse first. How many verses do you have memorized? What is your favorite one? Your life verse? Your birthday verse according to my book? You’ve selected a wonderful list of verses for your book Rachelle, and it’d be so exciting if people took on your daily memory challenge using our memory techniques. I really have no idea how many verses I can remember, which sounds a bit silly. While I was creating the mental imagery and stories for the 100 verses in our audio product, I was trying to write the stories, but not really memorize the verse myself. But because I naturally visualized all of the images as I wrote the stories, a lot of them stuck in my memory anyway. It’s not one included in our product but my favorite verse is Mark 11:23, because it reinforces to me the power of complete belief. Thanks to your book, my newly adopted birthday verse is 1 John 4:15 “If anyone acknowledges that Jesus is the Son of God, God lives in them and they in God” (NIV). Kyle, it's been a pleasure having you here. Where can readers find out more about you? Thanks so much for the privilege of being on your blog Rachelle, the pleasure has been all mine! To keep track of my latest books, blogs and events, the links to my Amazon author page and website are below. It’s always great talking to readers and I hope they’ll contact me through the website. It was only after he’d completed four university degrees that Kyle Buchanan became obsessed with discovering how the memory works. All that study could have been so much easier. He left behind a career in the financial markets, and is now determined to help people fulfill the potential of their own memory skills. When he’s not teaching people how to remember scripture, Kyle is chasing and being chased by his one year old son in the back yard of their home in Toowoomba, Queensland, Australia. The squeals of laughter are often mistaken as coming from his son. 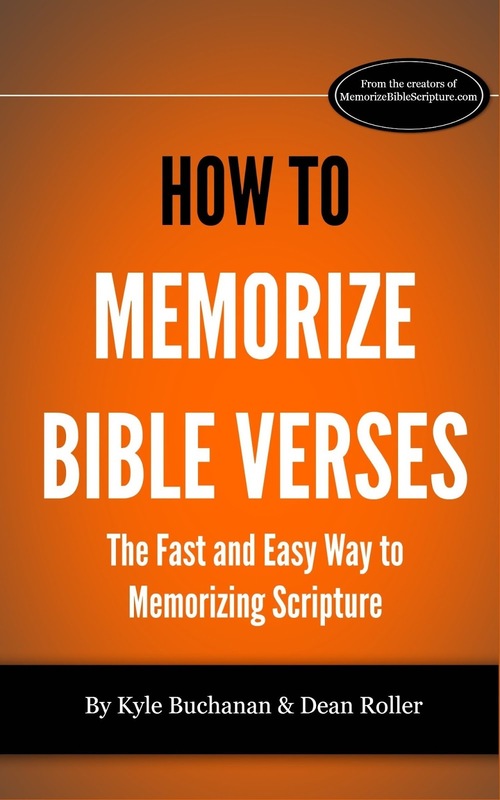 You can buy How to Memorize Bible Verses as well as Your Daily Bible Verse at Amazon for 99c each.